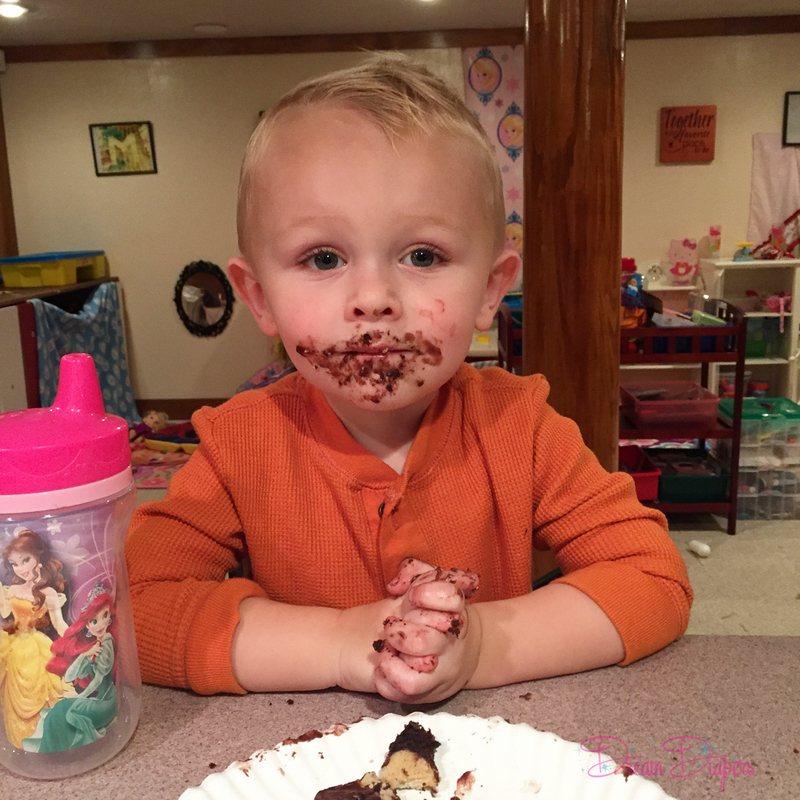 Ah, toddlers…the tiny little dictators that run your life and your schedule. If you don’t revolve around their nap schedule, you’re doomed to a life filled with tantrums and emotions bigger than the poop they had last week that they smeared all over the bathroom before you could hang up your five minute phone call. They bring you just to the brink of insanity on a weekly (if not daily) basis before melting you into a warm, gooey puddle of parental love and devotion by quietly initiating a warm hug with their tiny, pudgy hands wrapped firmly around your torso and their sweet heavy body resting comfortably in the crook of your shoulder. They whisper a raspy and mumbled, “Wuv you, mommy,” disintegrates your heart into a warmth that spreads throughout your body and makes you feel so glad that you didn’t give them away last week when they broke your phone by trying to give it a bath in the toilet. You can’t turn your back for a second (literally) without them getting into something. 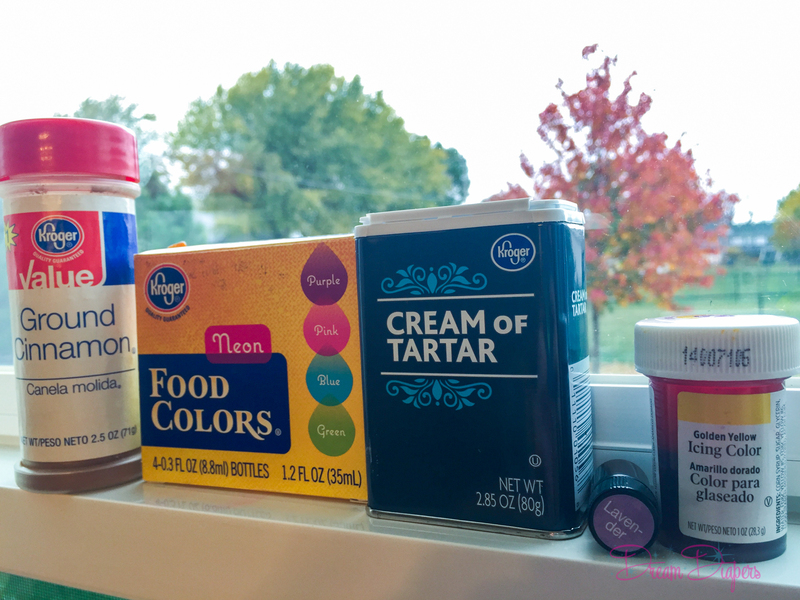 They move at the speed of light and change courses just as quickly, and it feels like trying to nail jello to the wall when attempting to accomplish housework while they are awake. See, the most frustrating thing about toddlers is: they require a lot of attention. Why? 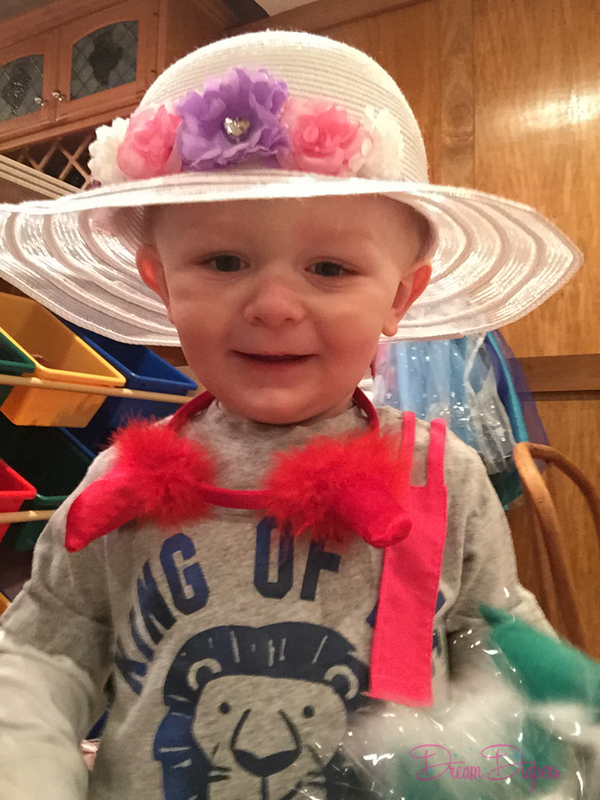 Their brains are growing and expanding at an alarming rate between birth and age three. A newborn’s brain is only about a quarter of the size and weight it will be by the time he is an adult, and in the first three years, billions of cells and hundreds of trillions of connections will be made between these cells in his brain. Hundreds of trillions: that sounds like one of those made up numbers that kindergartners spout when they are trying to emphasize how much money they think their teacher makes if you ask them (sorry, kids, we wish) but it does a fair job of describing the enormous scope of learning that occurs in just three years. 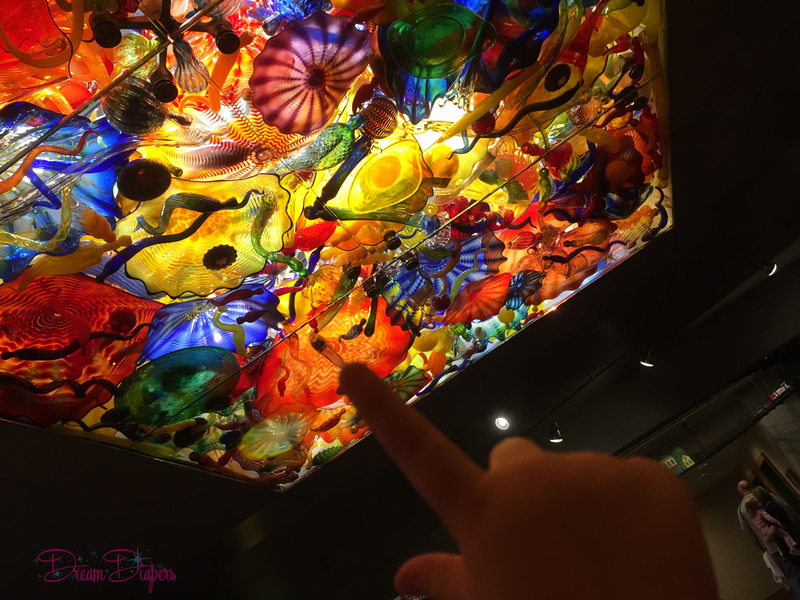 So how do we help our kids grow? How do we help them make those hundreds of trillions of connections? I’m sorry to be the bearer of bad news, but the answer is: attention and play. Yeah, you won’t be getting anything done for the next several years. Sorry about that. Accept it and move forward. It’ll be okay. Playing is fun and relaxing. Ohmmmm…. Play is work for kids. It’s fun work. It doesn’t feel like work, but the way in which work exhausts and engages and stretches the minds of adults, play does the same for children. 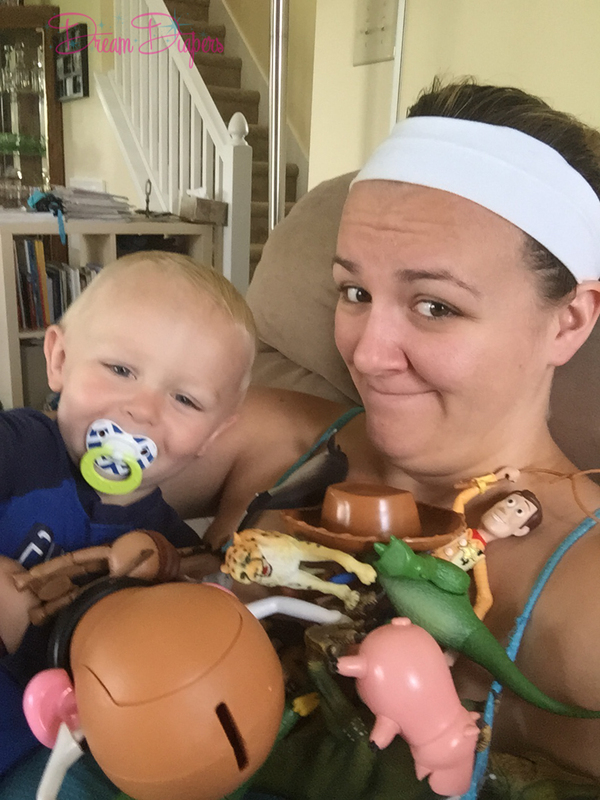 That’s why play-dates are the hallelujah of the stay-at-home mom. You’re almost guaranteed a quiet hour or two afterward as your kid is zonked out from all the playing they did. 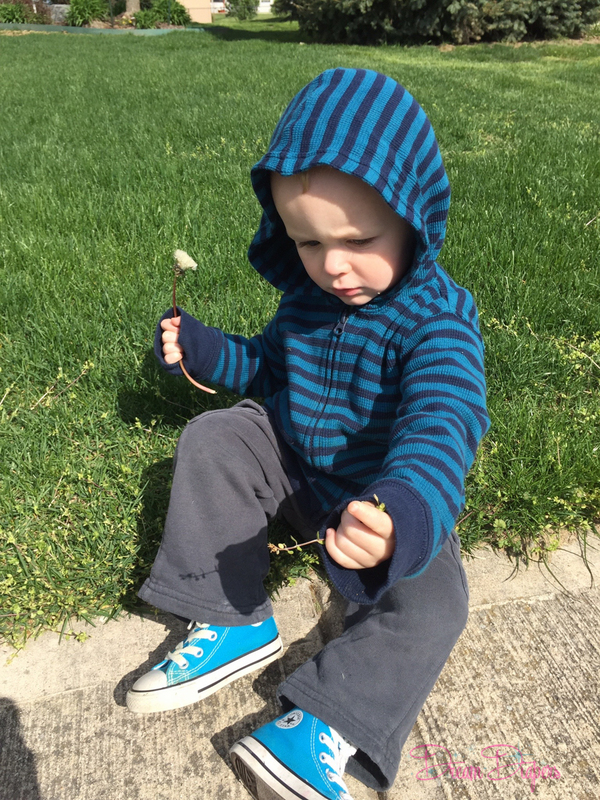 Every verbal or physical or emotional engagement that child has in the span of the short hour or two playing with you or with other kids creates those connections in the brain that we denote as learning. But here’s the thing: you don’t need expensive, high tech stuff to play with your toddler and help them learn. 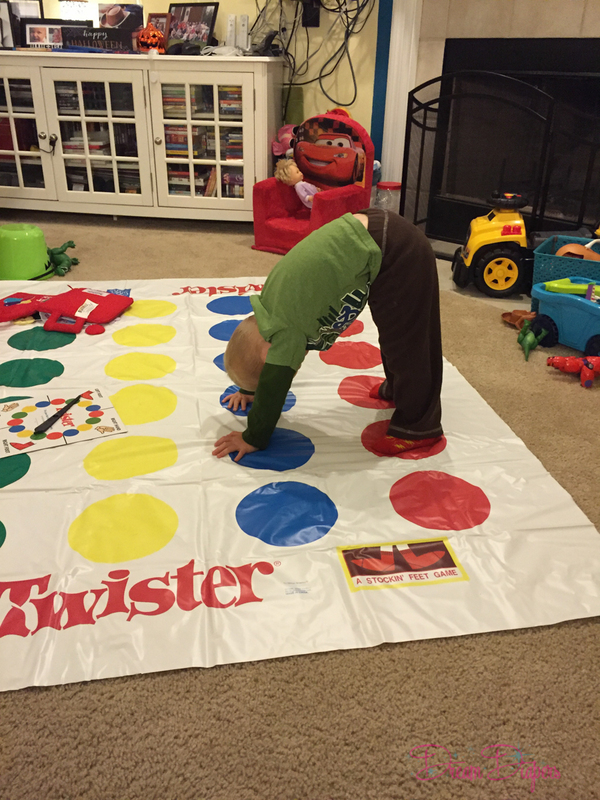 In fact, the best tools for playing and learning are the simplest items in your house. I know, you don’t want to mess with it because that frickin’ stuff NEVER comes out of your carpet. I feel you. Here’s my solution: lay out a cheap plastic table cloth under where they are playing or have them play with playdough on a tiled surface (on the kitchen floor while sitting on a plastic table cloth for example). 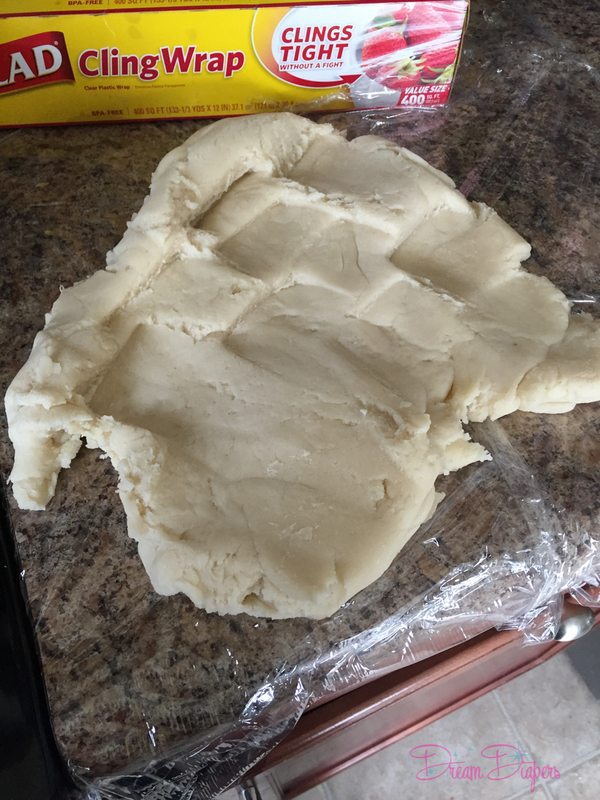 As I mentioned in last week’s post, playdough is simple to make and extremely cheap (like $3 for a huge batch). 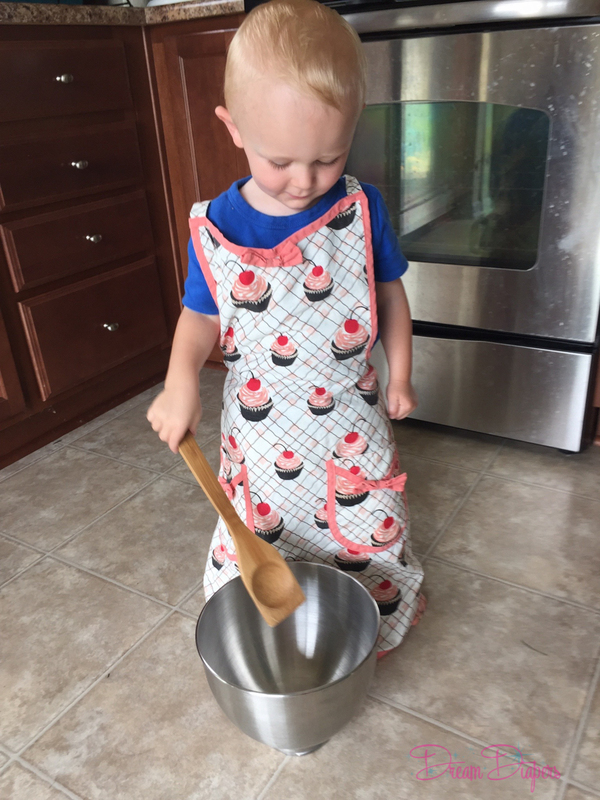 Tools to use with playdough can easily be found around the house too: cookie cutters, rolling pins, buttons, pine cones, anything that can make interesting indentations, plastic silverware, measuring cups, even matchbox cars. 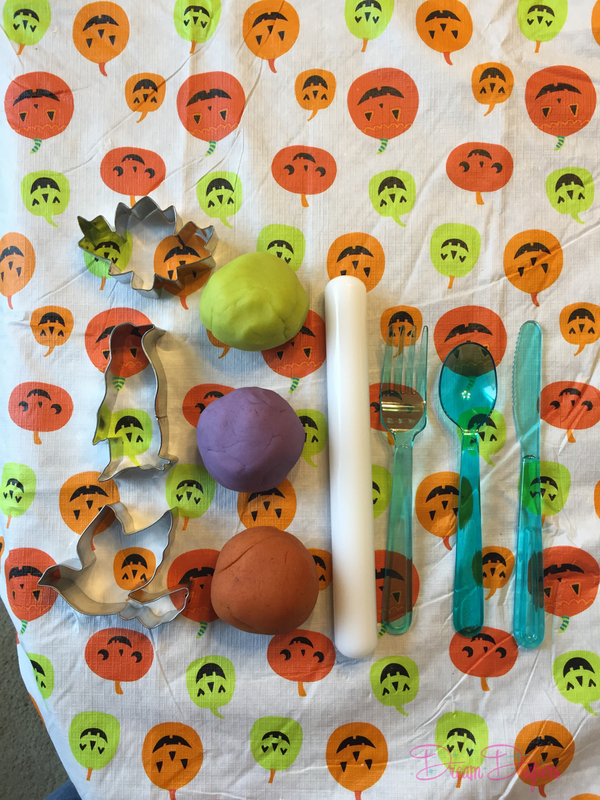 Playdough offers both a sensory exploration for toddlers (touch, smell, sight) and an opportunity to play imaginatively. Will you make a pie? Create little animal figures? Simply practice fine motor skills by learning how to roll it into a ball or a snake or to cut it with safety scissors or a plastic knife? The opportunity to pretend with playdough is endless, which is why it keeps kids busy for so long! However, you must be present with your kid to play to help them get the most out of the experience. 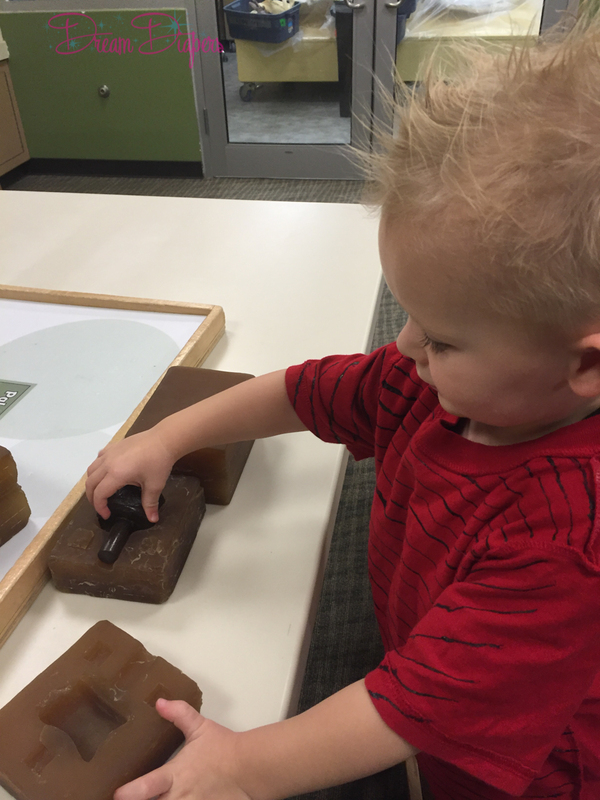 Ask questions like, “What does the playdough feel like? Is it squishy? What color do you like to play with? Can you make a snake with me?” Especially when it’s the first few times they’ve played with playdough, toddlers need a guiding hand to know what is appropriate (i.e. not eating it or shoving it in their nose/ears) and exciting to do with this kind of manipulable. Do you have a few dining room chairs? A few heavy books? A bed sheet or a parachute (thanks Gymboree)? 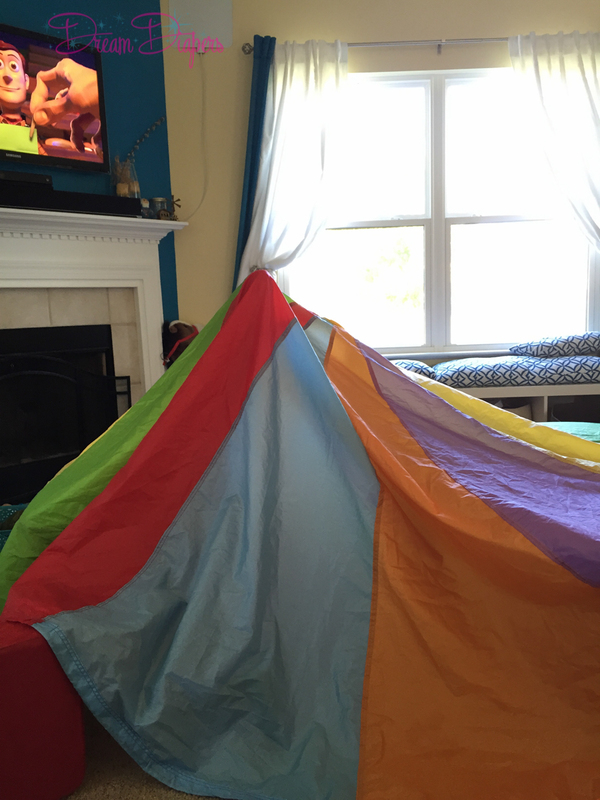 Then you, my friend, have a tent…or a fort or a secret hideout or a castle etc. etc. There’s something magical about having your own private space. 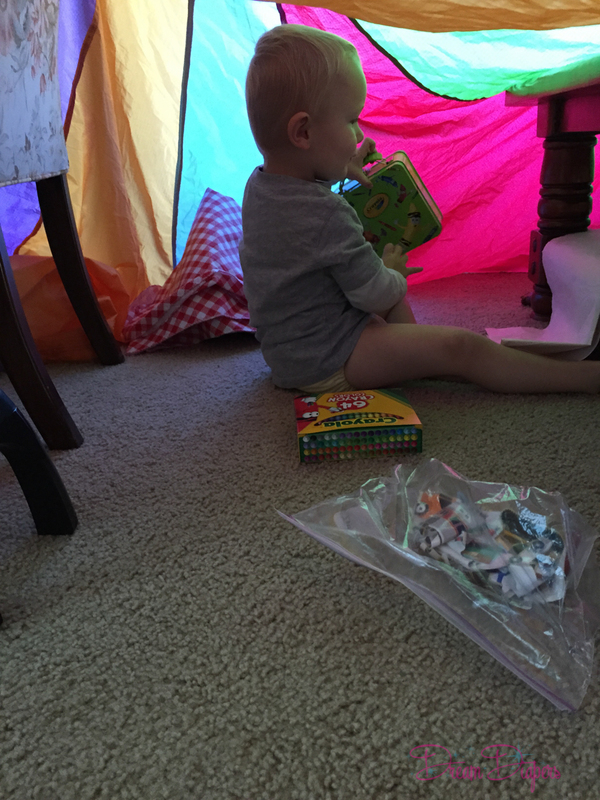 As moms we relish the idea of even a bathroom to ourselves, but toddlers go bananas for tents, even if it’s just a place to crawl into and look at books, color, or chat with momma. The novelty takes quite a while to wear off. Making the tent obviously builds gross motor skills (spreading of the fabric), problem solving (how do we get the edges to stay up/be held down? etc. ), and flexes their creativity (how can we make something extraordinary out of regular things?) but what you put inside the tent increases the quality of play: stuffed animals who are hiding from a storm, some animal figurines for pretending they’re in a circus, even a blanket and pillow and some books for some quiet time exploring on their own. Great toys do not require batteries. I repeat: the best toys do not make a sound. 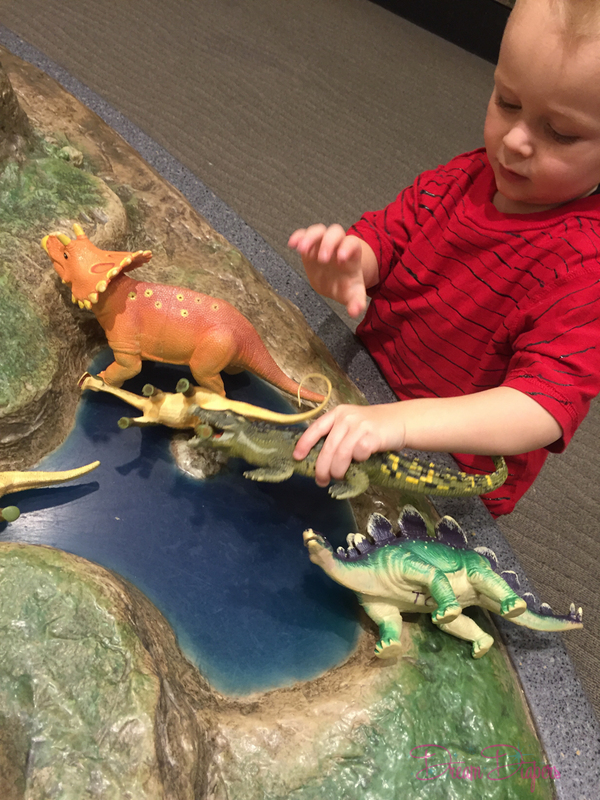 Dolls, dinosaurs, cars, trains, farm animals, zoo animals, favorite characters: it doesn’t matter what kind of figurine your kid likes, I guarantee you they’ll play with them more than that dinosaur that sings the ABC song and repeats color names just by looking at it sideways. Not only will your kid play with them more, they’re cheaper, and they allow for imaginative play. Now, to be completely honest, this is the kind of play I struggle with the most. My husband is phenomenal at coming up with an entire scenario for Lucas to play along with. He writes one man plays in the span of minutes. You should have seen his direction of Baymax vs. Woody and Buzz Lightyear; I laughed; I cried; and I was insanely jealous of his ability to so effortlessly make things up that made Lucas laugh and play along. 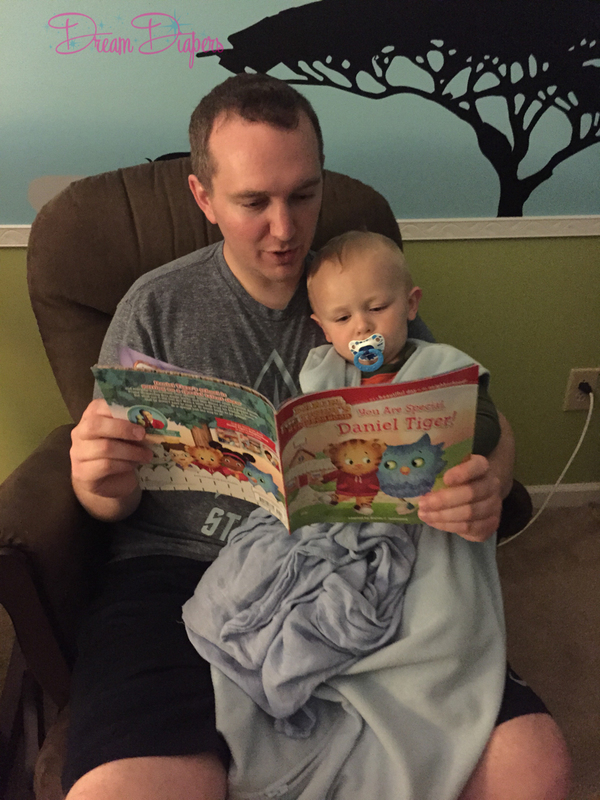 But here’s the trick I’ve learned: toddlers don’t care how simple your story is. You can use the same lines every time, and they still think it’s awesome you’re playing with them. I always revert back to Lucas’ favorite, “Oh, no! Dinosaurs are comin’! Run!” and he takes the story from there. You can count them, stack them, play pretend with them. You can take the cars and line them up as if they are all in a parking lot. You can make the animals go two by two onto the bookshelf to get away from the flood. You can build the train track to surround the living room and make different stops for the trains to make. The possibilities are endless. Toddlers learn most by watching what we do and imitating. That’s why they love having their own little tea set or broom for sweeping or pretend dishes for serving pretend food to you. Or heck, if you don’t want to buy a bunch of stuff, give them the adult sized versions if it’s safe to do so (like plastic cups, bowls, spatulas, measuring cups, etc). Throw in some dress up clothes, and you’ve got yourself a party that will last for hours. This is the easiest type of play for me because I just do as I would do if it were real with a little bit of an over exaggerated flair. 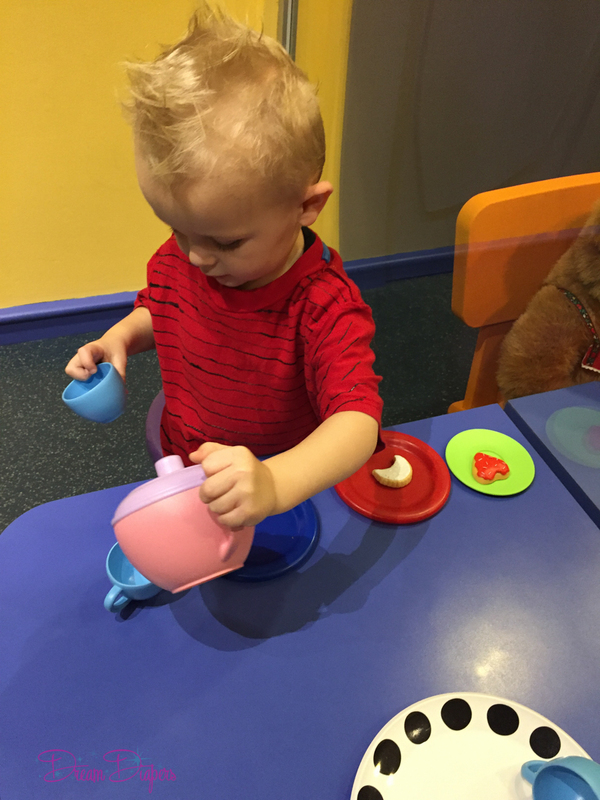 I’m pretty sure I’ve had a tea party with Lucas at least once a day for the past three weeks. It never gets old for him because I’m engaged in conversation with him; I’m relying on him to pour the tea and give me a cookie (or a hot dog bun as he so often brings me). Playing pretend with kid-sized homegoods gives them a sense of importance and maturity. It strengthens their imagination and broadens their creativity and especially improves their social and verbal skills. Plus, when you let them learn how to play pretend with you, it gives them an appropriate base to start from when they start to play with other kids. I know parks are covered in germs. I know they can be dangerous if you aren’t looking up and playing alongside your kid. BUT the park should be your best friend when the weather permits it. 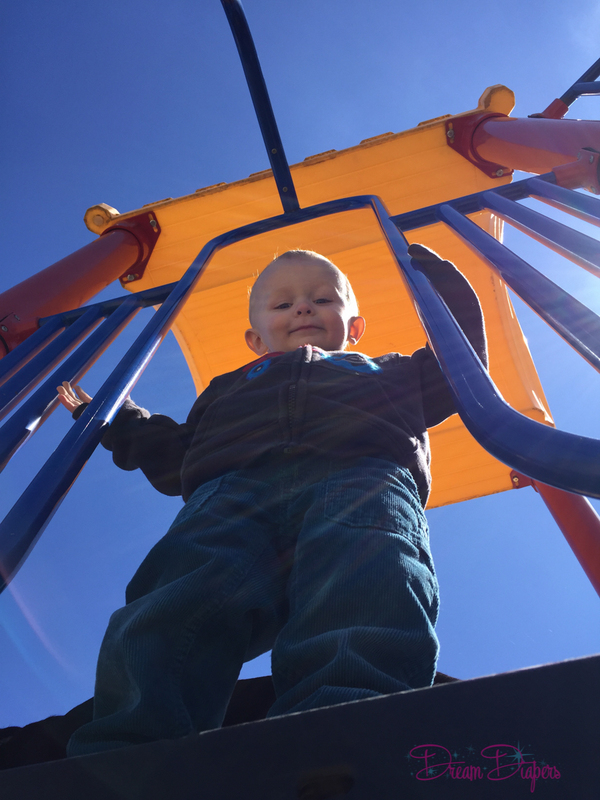 Unless you have a fancy jungle gym in your backyard, the park allows your kid to climb, swing, jump, run, step up, step down, balance, kick, hop, and just plain wear himself out. It’s the best place for gross motor development and social development. You may have lots of play groups that you go to, but giving your kid the opportunity to learn how to interact socially and appropriately with new kids is priceless. It’s like a test for which they cannot study. So, bring a ball or a kite or some bubbles, and go nuts outside. If you don’t have a park nearby, just being outside playing in the fresh air is good enough. 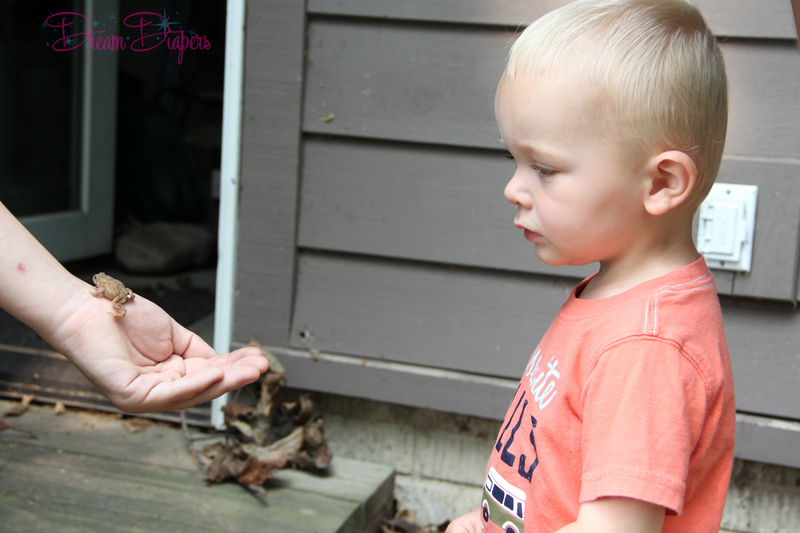 Toddlers find everything outside fascinating: bugs, leaves, sticks, even (and often especially) rocks. 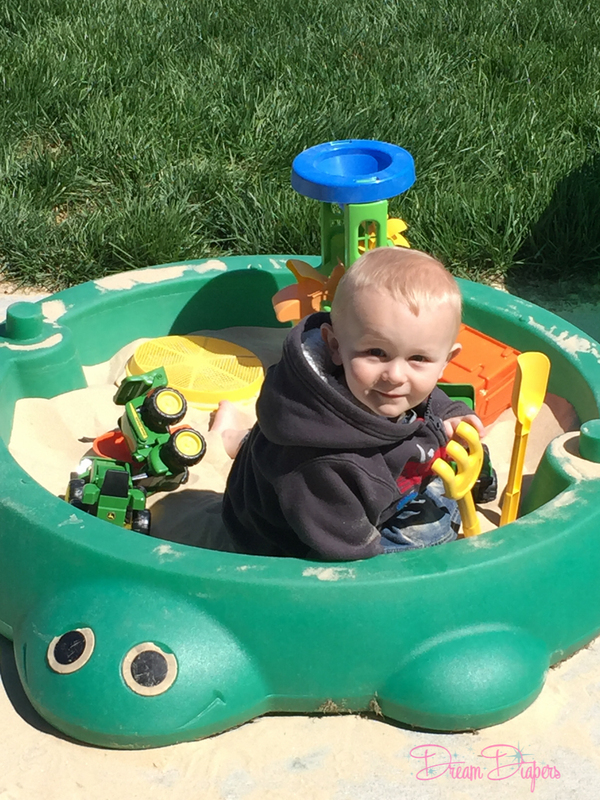 When the weather is nice, water play and sandboxes are also excellent resources for both independent and collaborative play. Either way, your kid will thank you by taking a marvelous nap afterwards. There is nothing so frustrating or gloriously exciting as a good puzzle or tall block tower. 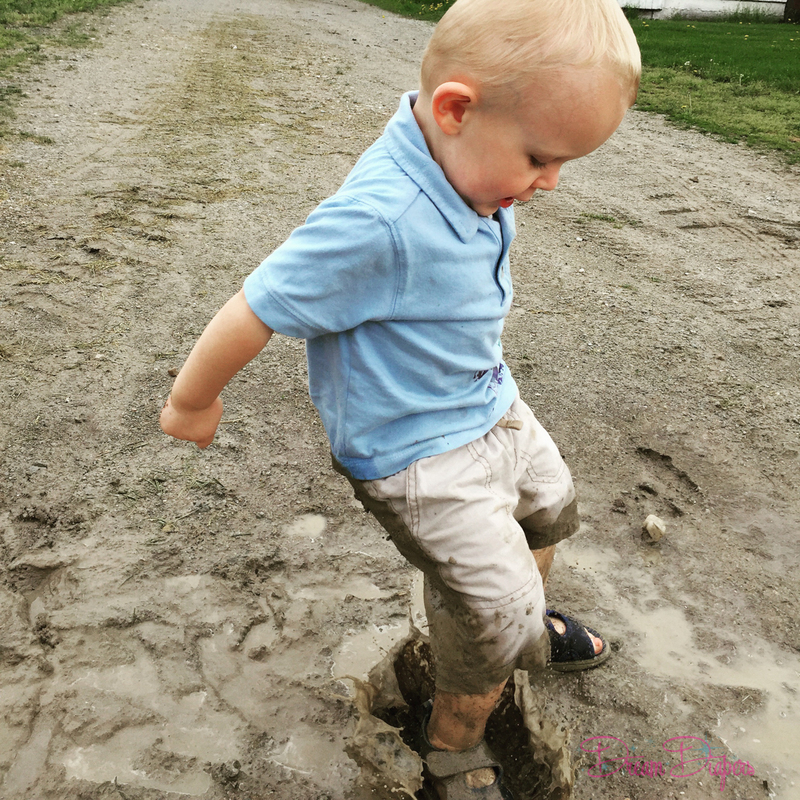 Toddlers will repeat the same activity over and over again. They don’t care how many times you’ve built that block tower; they want to do it again so they can have the satisfaction of destroying it all over the living room. 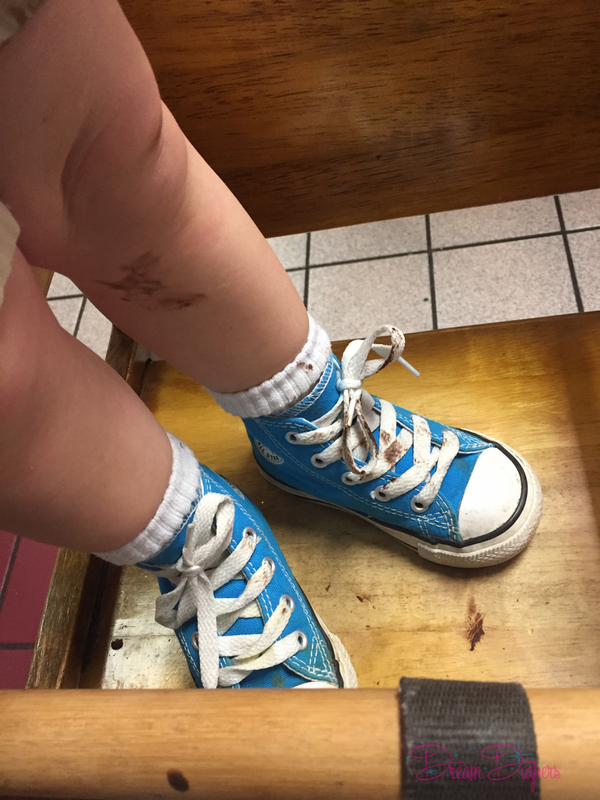 Learning cause and effect- toddler physics. As they learn to challenge their brains to create more complex structures, their creativity and engineering kicks in and the blocks become re-purposed for higher learning. 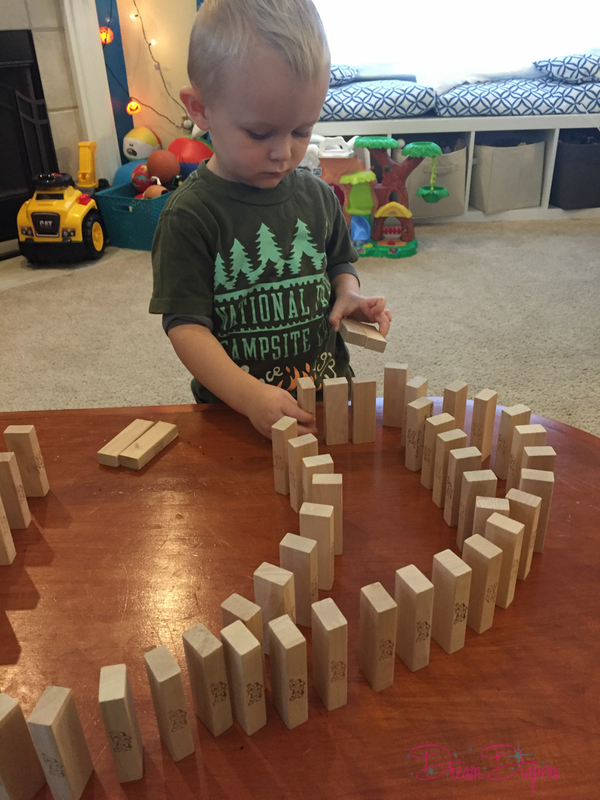 Puzzles and blocks are classic toys for a reason; they develop fine and gross motor skills and mental capacity in a way that kids don’t out grow. There’s a reason that grown men and women still enjoy playing with Legos: it’s fun and challenging. 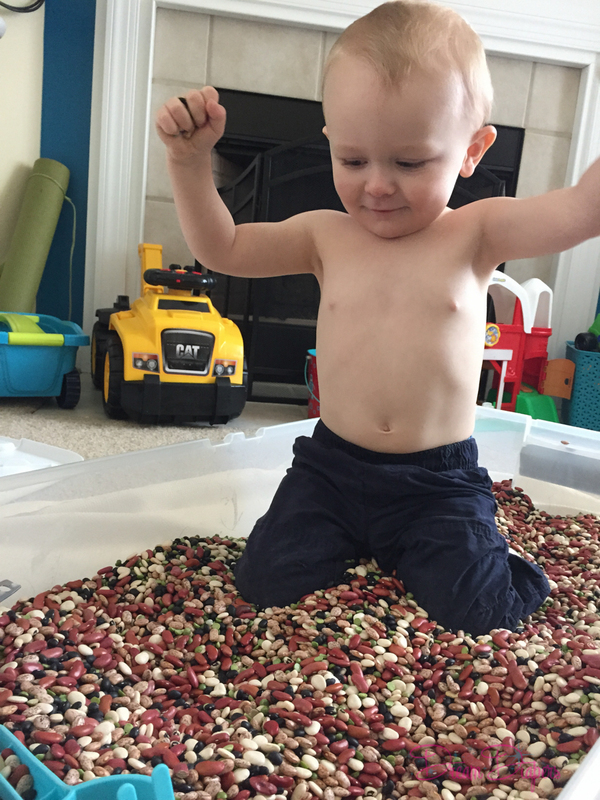 A sensory bin is also a great (but messy) opportunity for play. As the weather gets colder (if you’re lucky enough to be in a four seasons area of the country like me) and you’re stuck indoors more, take those opportunities to play with your kid. I know you have things to do. We all do. In a few weeks, will you remember the loads of laundry you folded or the dishes you washed or the report you finished on the day you wanted to finish it? Or will you remember hearing your child identify the color blue correctly for the first time or watching your child imitate how to pour you a pretend cup of tea? They aren’t little forever, and your time and attention are the most valuable gifts you could ever give them.